It is very common for people to avoid going to the dentist until they begin to feel pain. For this reason teeth extractions are far too common. A tooth extraction is the removal of a tooth from its socket in the bone. After a thorough examination and X-ray, your dentist will decide to remove your tooth if it is causing pain, and contains damage beyond repair. 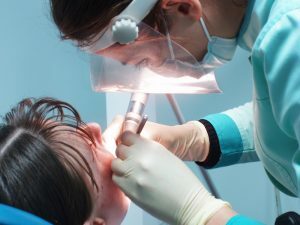 If you are unsure whether you need this procedure it is best to make an appointment with a dentist such as the Miami cosmetic dentist, Dr. de Cardenas to learn more about Dental Extractions in Cutler Bay and if it is right for you. A tooth infection can be a causing factor that may lead in the need for a tooth extraction. Although, there are other solutions for a tooth infection such as root canal, in cases where the infection has not been treated and the tooth begins to greatly decay, there is a big chance that it will reach the tooth’s pulp and eventually spread to other nearby teeth; this is when a tooth extraction is necessary. Some patients are at greater risk of infection than others. For example, if you are undergoing chemotherapy, a tooth extraction may be highly recommended by your dentist since your immune system is not at its strongest point. When your immune system is weakened, it is harder for your body to fight off dental infections. The Miami Cosmetic Dentist will suggest the removal of wisdom teeth for the reason that there may not be enough room in your mouth to allow the proper growth of other teeth. When your mouth is too crowded it impacts your other teeth preventing them from growing fittingly. With our advanced technology at the Miami Cosmetic Dentist, having your tooth pulled is a very safe procedure, but due to the nature of the procedure, it is still possible for damaging bacteria to enter the bloodstream. For this reason it is important for your dentist to know any medical history that can put you at risk of gaining an infection. After your tooth extraction your dentist will send you home to recover for a few day and may provide you with pain killers and advice on how to fully recover quickly. Make sure to give us a call at 305-251-3334 or click here to make an appointment!